After a very emotional today on the UNM campus, President Schmidly officially denied the permit to allow the Occupy Albuquerque protesters to remain on campus. 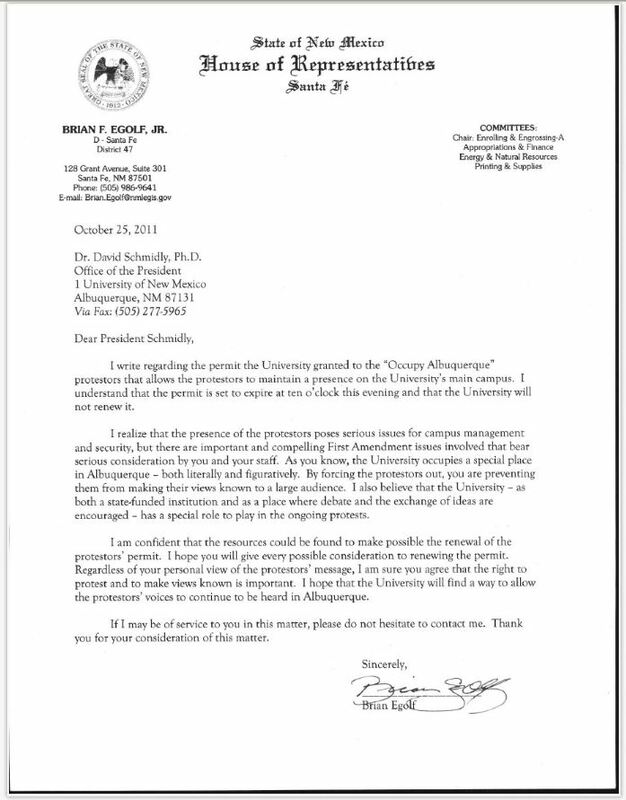 Just a short while ago, State Representative Brian F. Egolf, Jr. penned a letter to President Schmidly requesting that he allow the protesters to remain on campus. Reply from Schmidly has not yet been received at the time of posting.